If I ever need to make A happy I simply make him Mexican food. Granted, I always use flour tortilla's when he says I should use corn, but he never just has one helping. (Insert self-five here) It also does not help that his mother makes him THE BEST enchiladas known to man. But last night for dinner I was in a bit of a bind for time and energy and thought, 5 step enchilada's for the win. I usually make enough for A and I to enjoy for dinner and then refrigerate or freeze to eat at a later date, i.e. lunch on busy work day. Preheat your oven to 350 degrees F. Cut the chicken into large pieces for better cooking quality. Put the chicken pieces and the jar of red salsa in a skillet and cook on medium/high heat until chicken is cooked all the way through. Drain the chicken and use your mixer to shred the chicken in seconds, set aside. 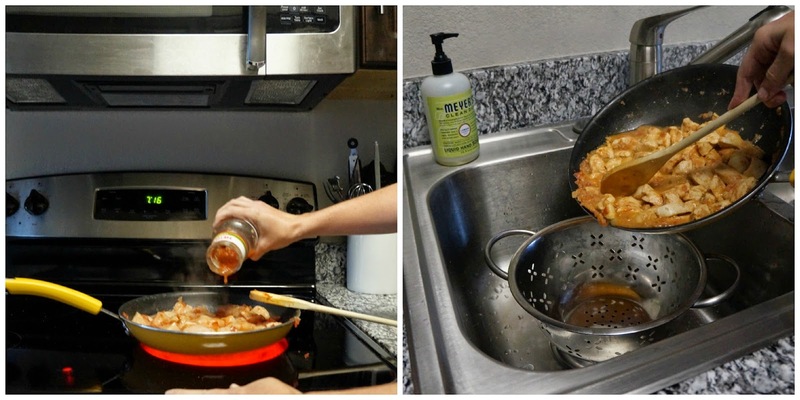 Using your tortillas and casserole dish. Spread about a generous amount of chicken on a tortilla, along with your desired amount of cheese and sour cream. 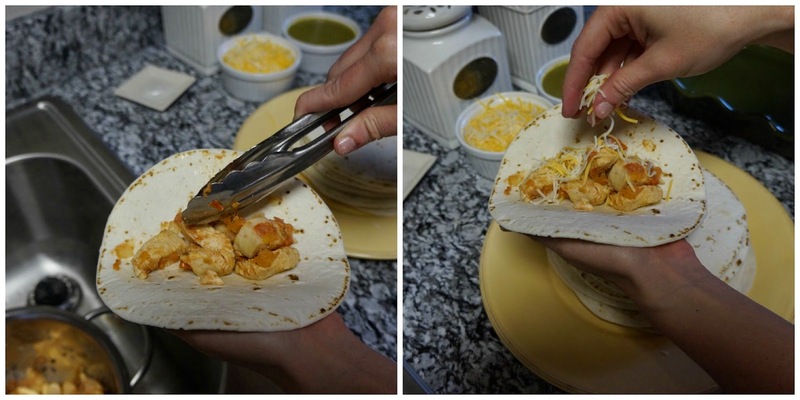 Roll the tortilla and place into the dish. Continue until full. Top the uncooked enchiladas with the jar of salsa verde and remaining cheese. Place in the previously pre-heated oven at 350 F for 30 minutes. The key to a mans heart---a good cook!!! 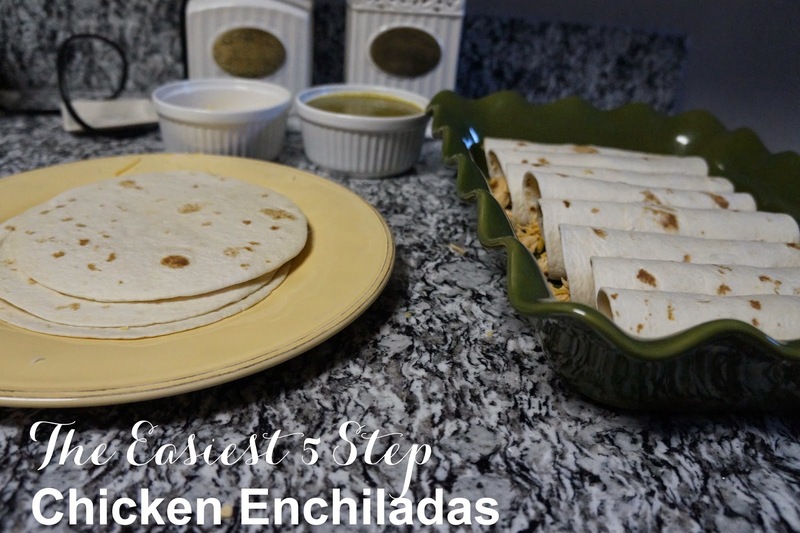 This is by far the easiest enchilada recipe that I've encountered. I will be adding this to my list of faves. Thanks, Shelbi!